I was originally a willow specialist, learning local, traditional work from apprenticed makers. I increased my repertoire and researched basket history, a little recorded subject. 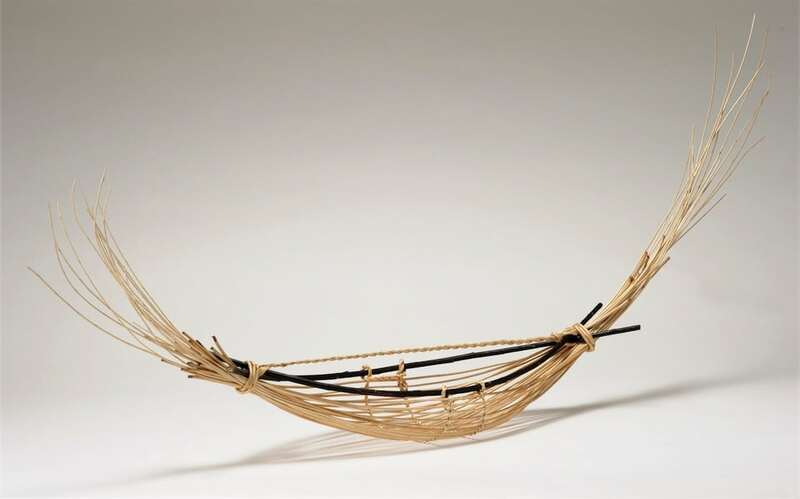 Widening contacts, with both UK and overseas basketmakers, and a Fellowship in Basketmaking at Manchester Metropolitan University, gave freedom to explore creative possibilities, and generated other ways of making. My techniques and materials now vary from the traditional to the contemporary using natural stems, leaves, bark, wire, plastics, vellum, paper, lots of colour. My research interests centre on our basket history, so far little recorded but now being actively explored. I have enjoyed spending time with traditional makers and recording their work, both technical details and their changing practice in response to consumer demand. 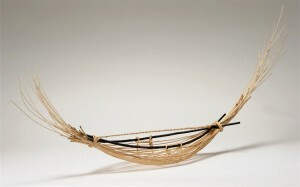 It gives a good record of changing economies and industries and the nature of basketmaking today. 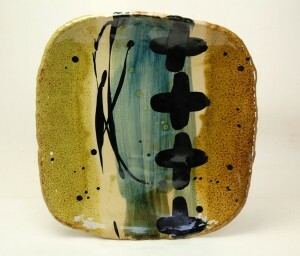 ‘Maker in Focus’ continues with the ceramics of Nigel Lambert from July 29th to August 31st. Maker in Focus is a partnership with Stroud International Textiles and curated by Lizzi Walton. This entry was posted in categories; Guest Exhibitor, Mixed media sculpture.